Hi Guys, first of all, all of your results look great! Im thinking of grabbing a standby rate very soon and due to my situation with home and work, and trying to keep this a secret to everybody, i was wondering if you guys could help me out with a few questions regarding the procedure,ect. I would REALLY appreciate it. For about 2700 grafts via FUE, how long would the procedure typically take? How long do you have to wear that blue surgical cap for? Can you wear a loose fitting hat over it? Or would a sweat shirt with a hood work better? I dont want to walk around with people seeing me with a surgical cap on, i dont want anybody i know or live with to know whats going on, this is very personal to me. How do i hide it from people i live with if i cant wear a hat? Can you sleep with the surgical cap on? How many days after the procedure does your face swell up, and how long does it last? My job involves physical labour outside when its hot out, how long after the procedure do i have to wait then to work? You usually sweat doing this job. How long does it take before the scabs fall off the recipient area and the redness goes away from it and the donor area? Thanks so much for the help guys! For about 2700 grafts via FUE, how long would the procedure typically take? The procedure will most likely be finished and you;ll be back in your hotel room by 5pm. How long do you have to wear that blue surgical cap for? Can you wear a loose fitting hat over it? Or would a sweat shirt with a hood work better? I dont want to walk around with people seeing me with a surgical cap on, i dont want anybody i know or live with to know whats going on, this is very personal to me. How do i hide it from people i live with if i cant wear a hat? Can you sleep with the surgical cap on? I did sleep with the surgical cap on and would wear it while I was bumming around my house. 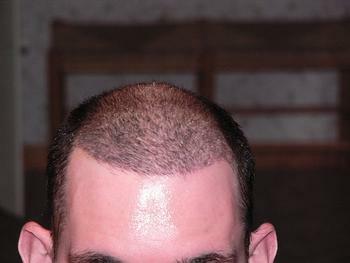 I was wearing a hat back to work 10 days out or so and I managed to wear my aht without it touching the grafts. Nobody ever knew I had a procedure!! How many days after the procedure does your face swell up, and how long does it last? 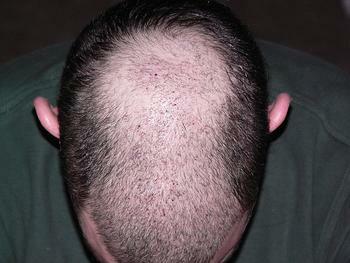 The swelling generally starts the 2nd day after the procedure and is gone by day 5. My job involves physical labour outside when its hot out, how long after the procedure do i have to wait then to work? You usually sweat doing this job. I was back to work a week after my procedure. This should be fine for you but you do want to try and avoid any sweating if possible. How long does it take before the scabs fall off the recipient area and the redness goes away from it and the donor area? 2 weeks or so. The vitamin e oil helps this process along. » Hi Guys, first of all, all of your results look great! » procedure,ect. I would REALLY appreciate it. » back in your hotel room by 5pm. » loose fitting hat over it? Or would a sweat shirt with a hood work better? » the procedure and is gone by day 5. » so. The vitamin e oil helps this process along. Hi Pats, thank you so much for your help! You are the man i really appreciate it! Everything is sounding really good. Maybe i should buy a fitted hat a size or 2 bigger than my head so it doesnt barely touch the grafts? My pleasure Rawman. You’re going to have a great experience. Come back and tell everyone how you made out! I had my procedure with Armani, and I can tell you first hand that what Pats is telling you is right on the mark. rawman, how much time can you take off after your procedure? I just think it really helps if you are able to take some time off to look after the swelling and healing. Good luck with your procedure and please keep us updated. » tell everyone how you made out! Yep, thank you very much i appreciate your help! » Pats is telling you is right on the mark. Thats great to hear, thanks! I can take 2 weeks off, hopefully all the scabs and redness will be gone by then! » » Pats is telling you is right on the mark. » scabs and redness will be gone by then! Every person is different. Healing depends on your body chemistry. Don’t be surprised that for some people it may take a little more than 2 weeks. Some keep the recipient site moist on a regular basis post op, the scabs may come off sooner this way. I am big believer that a healthy body heals faster. I am a real quick healer, but I also am a bit of a health nut. I exercise all the time, rarely drink, never smoke. After my procedures I jumped right back on my multivitamin and other supplemens and I drank ALOT of water. This all helps in healing. Below are my photos 14 days out from my first procedure. » rarely drink, never smoke. » supplemens and I drank ALOT of water. This all helps in healing. » Below are my photos 14 days out from my first procedure. WOW really cool! Thanks for showing me those! May i ask how you managed to wear a hat without it touching the grafts since you had zones 1 and 2 done and the temples? What kind of hat did you wear? Thanks! My first procedure I was back to work in 7 days. I wore a bandanna back because I wanted to be extra cautious of the grafts. 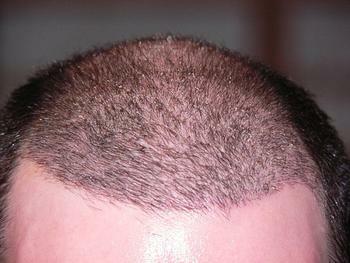 At the 14 day mark I wore a loose cap rested on my crown with the bill kind of facing upwards so it didn’t put any pressure on the grafts. Nobody in the office suspected I had a transplant. Excuse my but do you answer all the prospective patients questions based just on your case??? 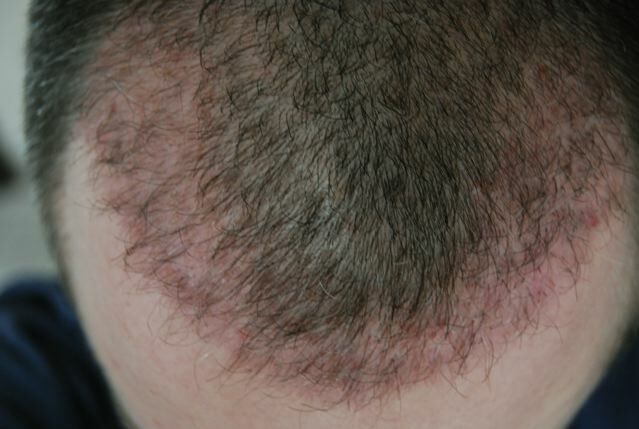 Healing depends on the individual there are many people reporting that redness on the scalp was followed by pinkness and lasted up to 6 months after the procedure!!! Greek not even my closest of close friends new I had it done. Because I wore a hat did not cause any suspicion. As far as healing goes, of course everyone is going to heal a bit differently, but I thought rawman would appreciate seeing what I personally looked like 14 days out. » looked like 14 days out. 5. How long does it take before the scabs fall off the recipient area and the redness goes away from it and the donor area? 2 weeks or so. The vitamin e oil helps this process along. Rawman said that it is important for him noone to to find out. What i am afraid is your answer doesnt mention that healing varies and you gave him the answer Two weeks"…he should be informed that this might not be the case with him as it is not the case with thousands of cases, others heal in a month others in two months others in 6 months. maybe that would create problems in his life. He should know all the parameters and plan accordingly. Also the grafts shed and then grow again thats a process where your hair and scalp looks weird, there might be ingrown hairs, red spots…there is the ungly duckling phase .Also the grafts need to mature and circle a few times to blend in with the natural hair nicely. Rawman do you know all this? 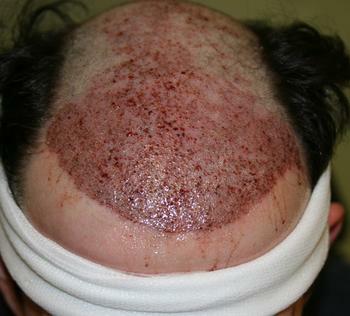 How Long will My Scalp Remain Red/Pink After a Hair Transplant? Everyone will heal at different rates and times based on the above variables. I’ve seen some hair transplant patients heal entirely within a couple weeks while yet others are experiencing discoloration of the scalp for almost 5 months. This is me 4 months after my Armani HT. Hey rawman are you around?Did you decide what are you gonna do? Speaking from personal experience I applaud your decision to go with Armani. I had a procedure with him a little over a year ago. The clinic will let you know exactly what to expect, there were no surprises which I thought was great. Nothing was sugar coated and they were completely honest. Let us know how it turns out. » honest. Let us know how it turns out. Hey Gabriel i dont have personal experience with Armani as you do but i am also sure that when you come face to face with the doctor he will explain everything to you in detail. Usually though because most people fly from all around the world for their procedure they get there one day before they have the surgery. It is very difficult to back down once you are booked and you say… oh what the heck i am here i will find a way to work through the post transplant difficulties. So knowing before hand all the parameters is essential when you speak online with consultants and other hair loss sufferers so that you are allready full informed before you book flights, surgery dates and finally go to meet in person your favorite doctor.